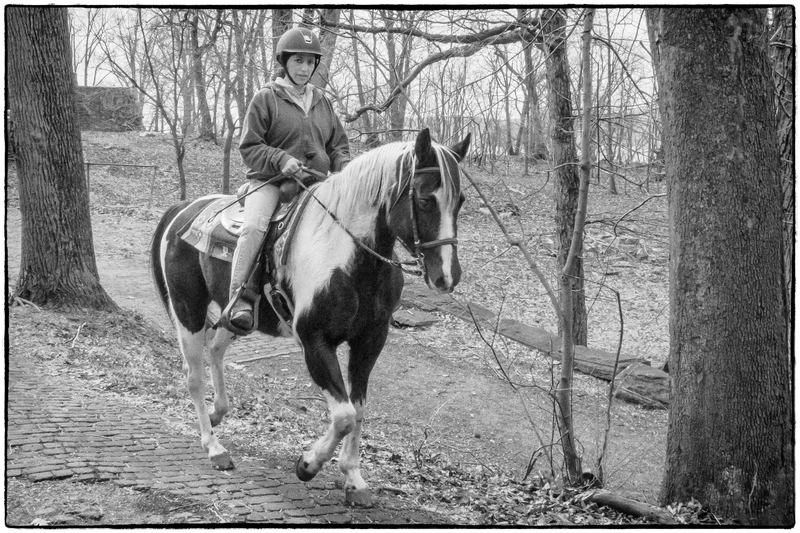 In an earlier post (Approaching Rockwood Hall) I mentioned that we (myself and our dog, Harley) had an encounter with a horse and rider. I don’t think he’d ever seen a horse before and he was very excited – so much so that I had to pull him back to stop him from running in front of the horse. Possibly his only term of reference was the deer that we see in the meadow in front of our house, and I suppose there are certain similarities. Maybe he thought the horse was a big deer. The horse and rider took it in their stride with no sign of fear or panic. This entry was posted in Black & White, Landscapes, Wildlife & Animals. Bookmark the permalink.